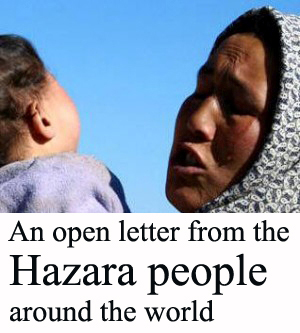 April was a particularly grim month for the besieged ethnic Hazara community in the Pakistani city of Quetta. It began with the targeted killing of Nazar Hussein, a taxi driver in the city. 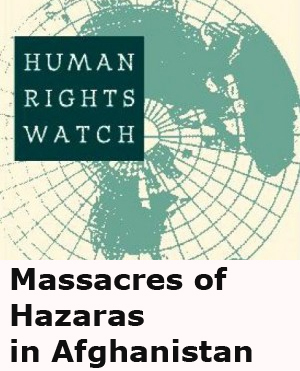 At the end of the month, two Hazara men were shot dead in their electronics shop in another attack based on sectarian logic. In total, the community suffered four separate “targeted killings” during the month. The killings triggered several protests, most notably a women-led hunger strike that was called off after strikers secured a meeting with Qamar Javaid Bajwa, the Army’s Chief of Staff. Given this background, the decision of Pakistan’s Chief Justice to issue an unprecedented suo moto notice regarding the killings was significant and broadly welcomed by members of the community. The notice issued by the Chief Justice means that various authorities in Balochistan, the eastern region of Pakistan where the city of Quetta is located, should now submit reports on the killings to the court. Whether this will lead to any positive changes is unclear for the moment. The central government’s control over Balochistan has long been weak. 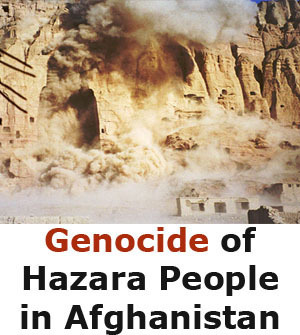 So has political will to protect the Hazara people. 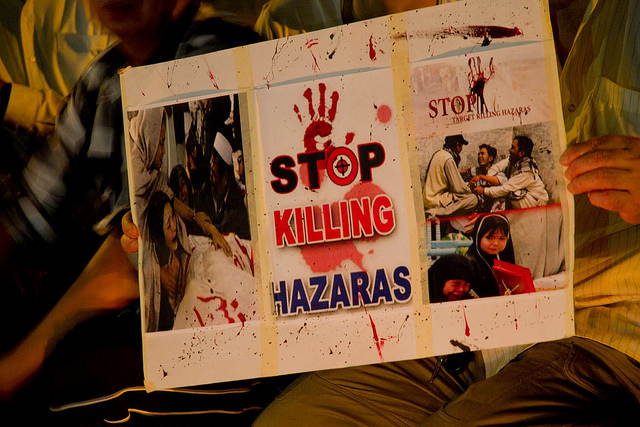 Over the past 15 years, 190 attacks have taken the lives of 1,500 Hazaras, and over 3,500 have been wounded in a sustained campaign of targeted attacks and bombings across Balochistan, according to Daily Times.The most lethal suicide bombing against Hazaras came in January 2013, killing more than 96 people in a local snooker club. 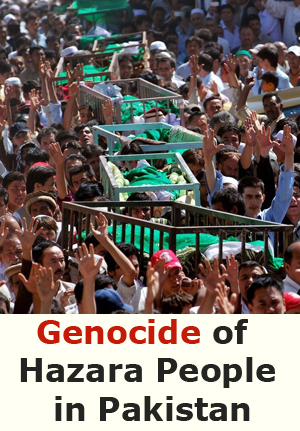 A month later, 84 people were killed in an attack on a crowded vegetable market mostly used by ethnic Hazaras. They have been killed in mosques, markets, snooker club, streets, shops, everywhere and anywhere. Fearing further atrocities and with few opportunities in the country, 70,000 of the reportedly 900,000 Hazaras that live in Balochistan have taken a precarious migration route in a bid for a better, safer life. The journey over the ocean to Australia has seen hundreds drowned along the way. Lashkar-e Jhangvi, a militant extremist Sunni Deobandi group, has claimed responsibility for most of the attacks on Hazara in Balochistan along with Pakistan Tehrek-e Taliban (TTP) Jaishul Islam and Sepeh-e Muhammad. In recent years, the so-called Islamic State in Khorasan (IS-K) has also begun claiming attacks. For these groups, it is mostly the overwhelming Hazara adherence to Shia Islam that mark them out as heretics deserving of slaughter. 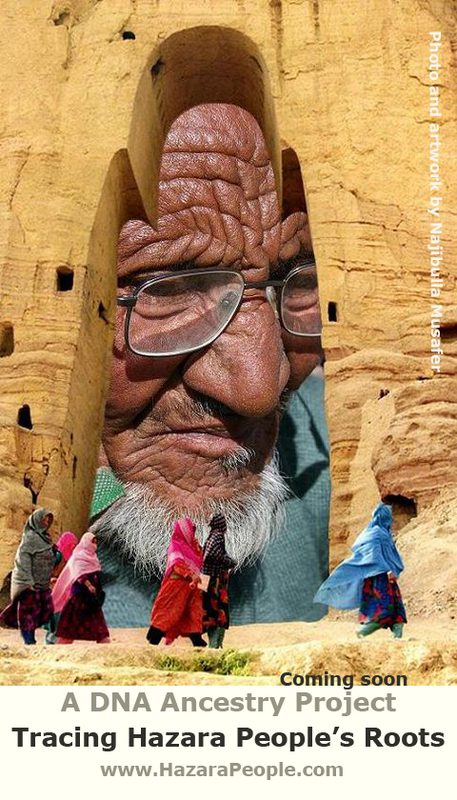 The Hazara community in Pakistan has been there since the 1880s, after migrating from next door Afghanistan. 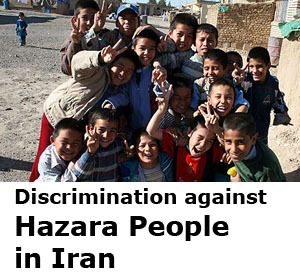 Hazara remaining in the old country have fared no better. Since 2015, the so-called Islamic State of Khorasan (IS-K) has orchestrated at least 19 big attacks against Hazaras, leaving 544 dead and over 1000 injured. The community was already a prime target for the Taliban, which is dominated by ethnic Pashtun and fundamentally anti-Shia. The government in Kabul has restricted itself to “condemning in the strongest terms” such attacks, while the government’s own discrimination against Hazara, particularly in education and employment, was flagged in a recent report by the US Department of State. With the seemingly unstoppable rise of sectarian military groups in both countries, protecting Hazara rights will take the kind of strength and will that neither Kabul or Islamabad have shown in the past.